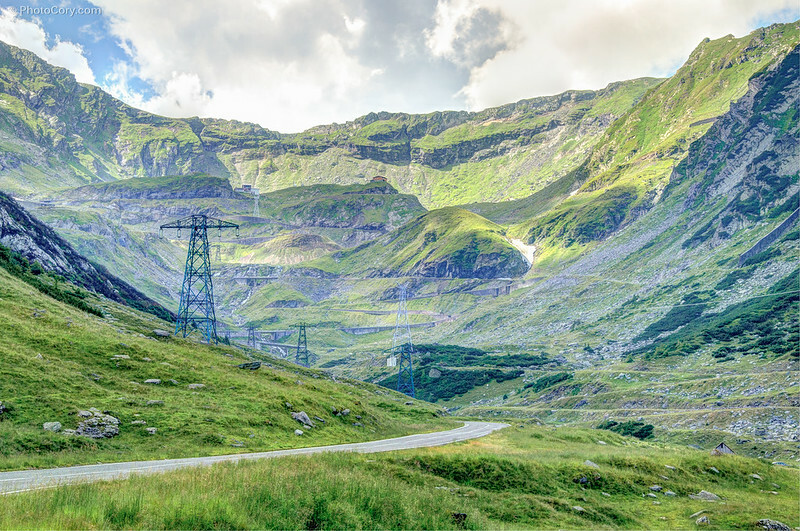 Romania is a beautiful country that has more to offer than just legends of Dracula and Transylvania. 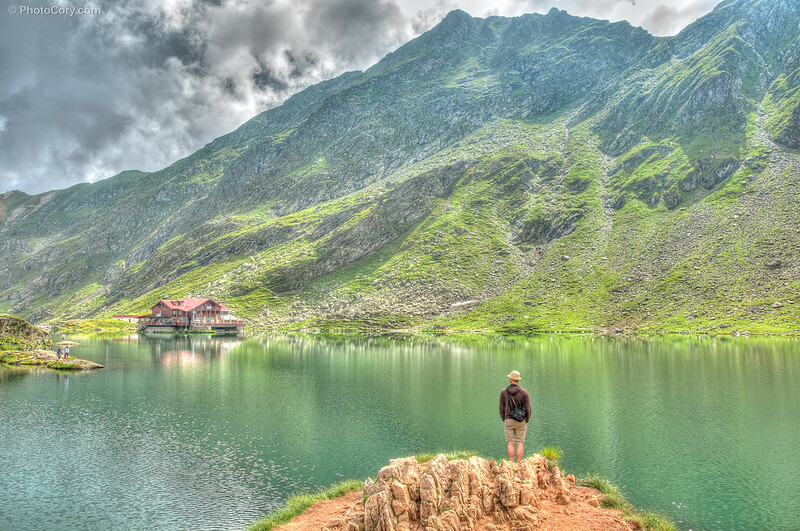 In this post I present two sights which hopefully will make you want to pack your bags and visit Romania: Transfagarasan and Balea Lake. 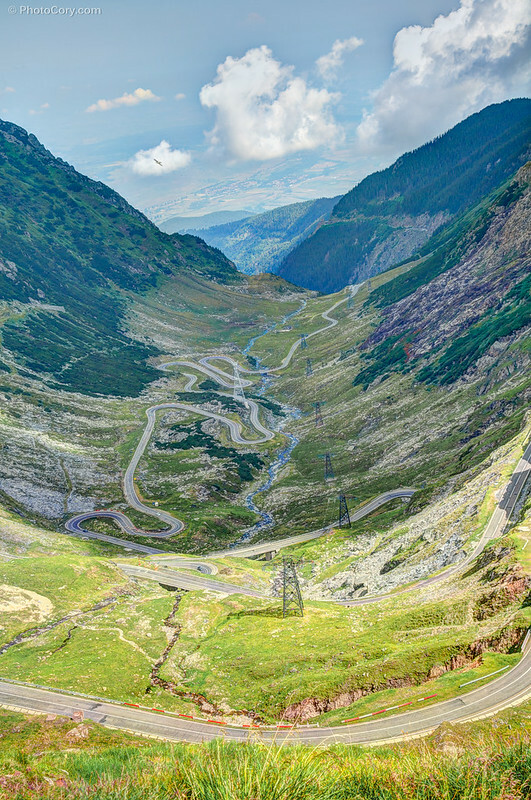 Transfagarasan is a twisted 90km long road through Fagaras Mountains (in Romania) that connects Transylvania with Wallachia (the North and the South of Romania). There are steep cliffs on one side and deep valleys on the other, the air is cold even during summer and flocks of sheep enjoy eating grass in the fresh mountain air. Along the road there are parking spots from where you can admire the landscape and take photos. 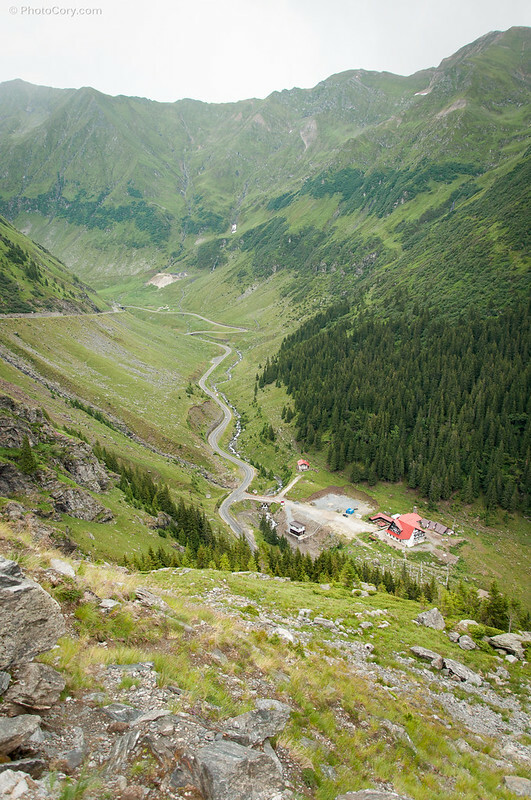 The twisted road goes up to 2034 m of altitude where there’s a breathtaking view over the Balea Glacier Lake. 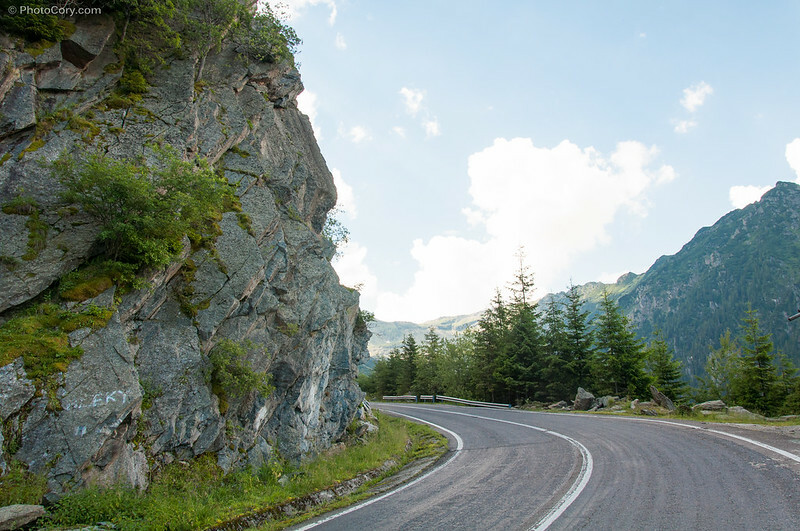 NB: The road is closed from October till June due to bad weather, but it’s opened for driving from June till September. The top legal speed is 40km/h because of the dangerous curves. Along the way there are flocks of sheep eating fresh, green grass. This is BIO! 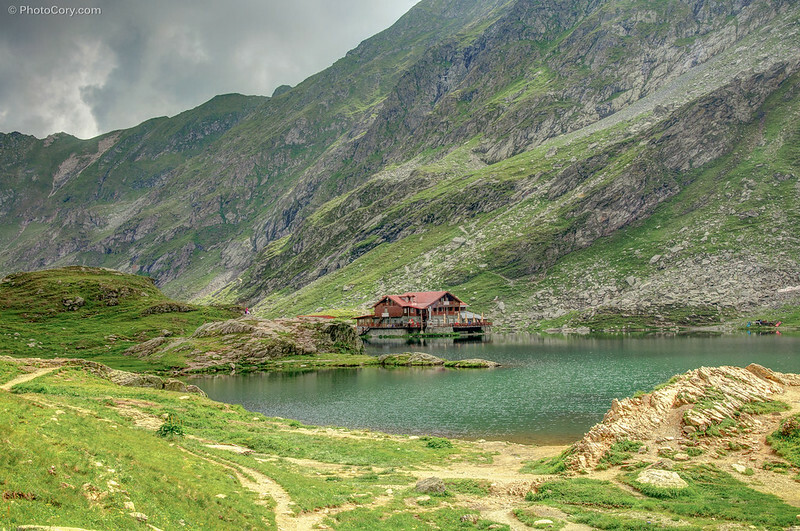 Balea Lake is a glacier lake situated at 2,034 m of altitude in Fagaras Mountains. 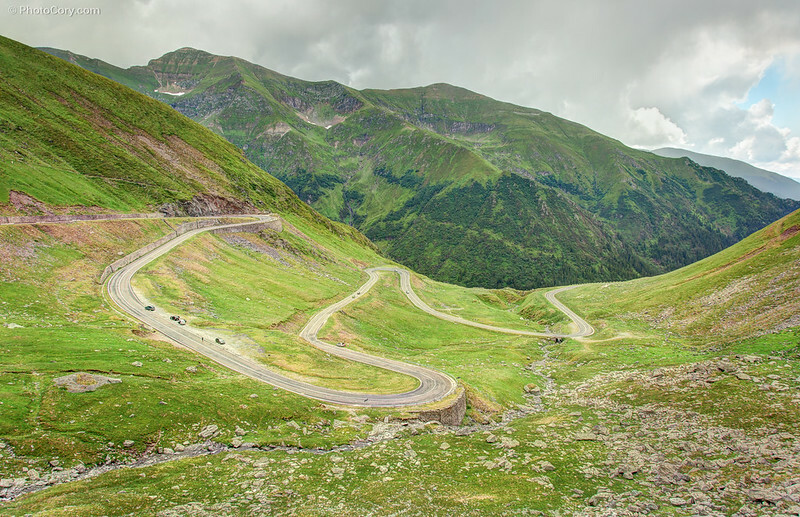 To get there you can drive on the beautiful Transfagarasan Road that I described earlier. The views are breathtaking and you can enjoy it in silence if you go there soon enough (before 11 AM) because around noon crowds start to arrive. I recommend you take a rest on the terrace of the cottage with a view over the lake and try the Tripe Soup (Ciorba de burta) – a traditional Romanian soup served with cream, garlic sauce and vinegar! In the parking lot there are street vendors selling Romanian traditional goodies like cheese, sausages, sweets, honey, syrups and souvenirs. The photos are not enough to describe the beauty of this place. If you’ve already been here, you know what I mean, but if you haven’t, I can only hope you have the chance to visit this beautiful places someday. Awesome photos of a magnificent drive. The most beautiful that I’ve seen in Europe (so far). Thank you very much! When have you been there? I have been there too and I know what you mean! 🙂 We were there this summer and this was one of the highlights! Gorgeous photos! My jaw is dropping looking at them. That road sure is intense. Though, I must say, it makes me want to take a road trip. 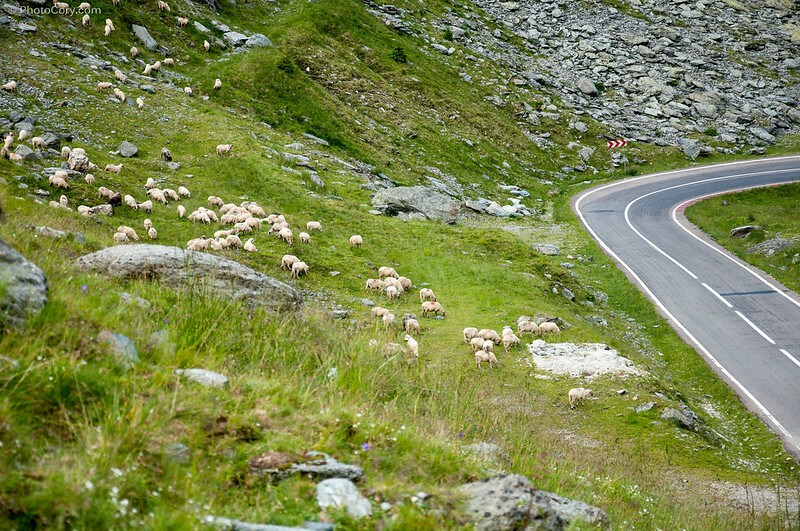 Thank you for showing me the wonderful landscapes Transfagarasan. I especially like the picture of the man looking at the house on the lake – great work. 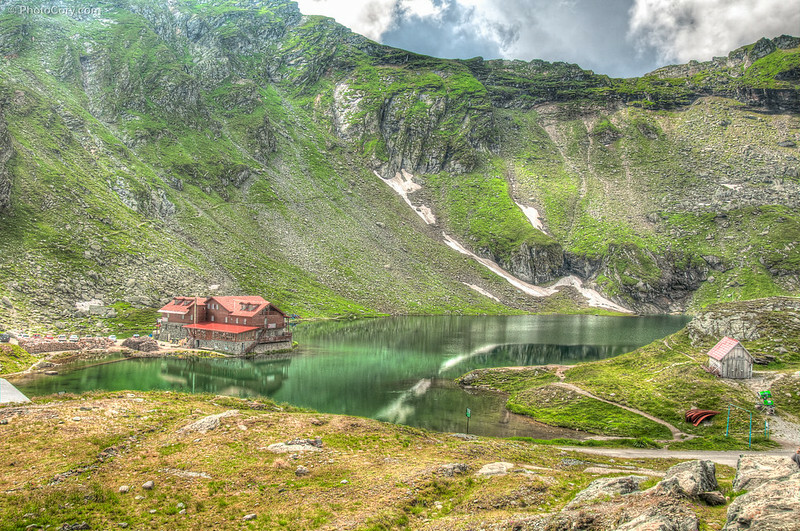 That house on Balea Lake is breathtaking! Wow.